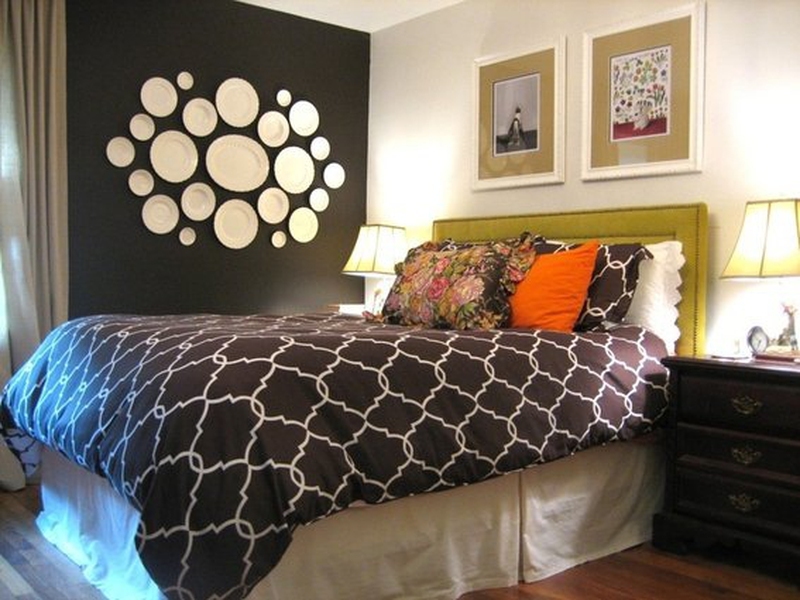 Do Darker Painted Walls Make Rooms Look Smaller? It’s not the color of the walls that make a room look smaller. When you understand this design guideline, and understand how to use color to your advantage, you will be able to use any color scheme and change the perceived size of the room. Contrast makes an area appear smaller. Lack of contrast allows your eyes to move unimpeded around a room, creating the illusion of a spacious area. A room with white walls and ceiling and decorated with red furniture will appear smaller than the same room decorated with white furniture. Similarly, a dark-walled room with a dark ceiling, decorated with dark-colored furniture, will appear larger than the same room with light-colored furniture because of the lack of contrast between the walls and furniture. Clutter is the most common type of contrast found in any room, and it contributes significantly to the small feeling of a room. Keep clutter such as high-contrast colored furniture, objects, walls, ceiling color and window treatments in the same color family to reduce the visual contrast.